A world first Decentralised Mobile Network! Formerly known as Qlink, QLC Chain is set to explode as they’re allowing your free mobile resources to be put to good use, in essence allowing the creation of a worldwide decentralised network running on the QLC Chain. Rather than paying your service provider to access the network QLC imagines a system where you by that access directly from your peers. You could lease access to your home WiFi, receive cell signal from a base station in someone’s home, or sell your unused data from your wireless carrier to other users. QLC Chain has little interest in taking over the telecom giants of the world, there infrastructure is too valuable but is essential. 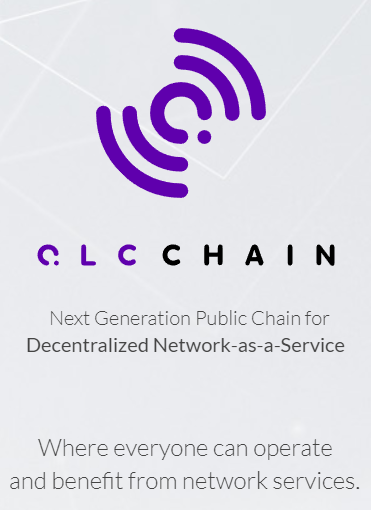 They propose rather to allow telecom operators to utilise QLC Chain’s distributed market place where they can provide assets and services directly to QLC Chain users. They have an app, WinQ. The app allows users to register there WiFi and VPN status on the network as an asset, using WinQ users can earn the $QLC token for sharing there WiFi. At time of writing it’s only running on the testnet. The app also includes a wallet to store, send, and receive $QLC tokens. Another flat-lining altcoin, another day. Currently priced at a .04c with a high of $1.20 technically it’s a no brainer, add in the fundamentals and QLC Chain (if they pull of there ambitious project) will be worth a hell of a lot more. It’s no surprise the crypto market is dead right now, and that’s the best time to be accumulating good quality altcoins. QLC being one of my favourite. We can see on the chart several trendlines, I’ve also put targets showing the ROI the closest being a nice 60%. We can see signs of accumulation with little blimps of green volume bars since August. As for the momentum indicators both MACD and RSI there isn’t much to see, MACD is flat signalling the lack of volatility and the RSI is more likely to be more useful when volatility enters the market. 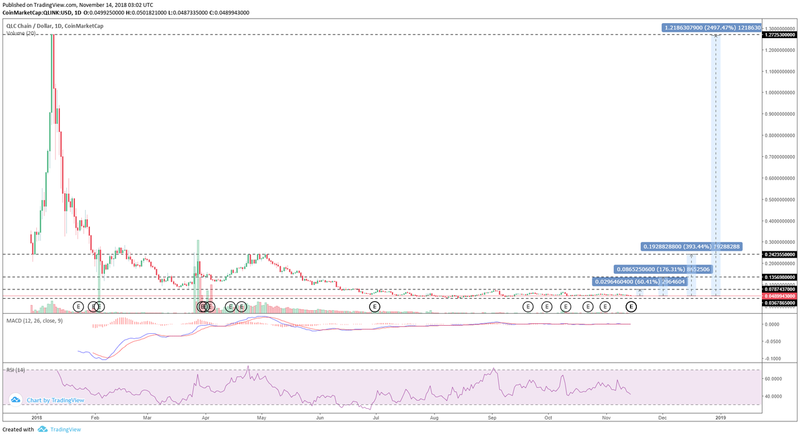 I’m convinced the bottom is in for QLC Chain and that the smart money is accumulating, as am I.